I enjoyed Laura Thompson's biography of Agatha Christie. And I enjoy true crime analysis. So I decided to give her The Tale of Two Murders about Edith Thompson a try. Edith Thompson supposedly incited her lover, Frederick Bywaters to kill Edith's husband, Percy. Think To Die For, only the incitement is the unwitting letters of a self-dramatizing, imaginative egotist rather than the more concrete and deliberate manipulations of a cold-blooded killer. 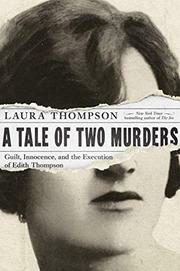 Laura Thompson's perspective is that Edith Thompson was hung due to hysteria and prejudice. She is correct. There was no evidence-based reason to hang Edith Thompson. Bywaters stated quite emphatically that the letters had not motivated him. He never really believed in them anyway (Bywaters appears to have been remarkably insightful regarding the nature of his lover). Laura Thompson approaches the murder and its background through the lens of an overarching theory, namely that class and gender assumptions mingled to create a failure of imagination and understanding by the public, the jury, the judge, and the British legal system. Again, she isn't wrong. By the time of the Rattenbury case approximately 12 years later, public opinion acknowledged that Edith Thompson's hanging had been a mistake. It was the result of mass condemnation rather than legal consideration. The problem with A Tale of Two Murders is not the main argument. Rather, the book illustrates what occurs when theory overrides sense. At one point, Thompson (the author) relates the reaction of Edith's sister, Avis, to hearing her sister's letters. 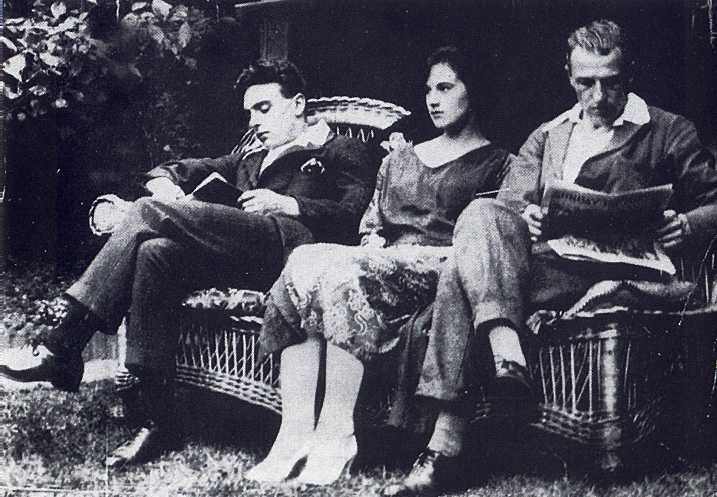 In particular, Thompson references a letter where Edith invented a dramatic quarrel between family members (over Bywaters) that never occurred. 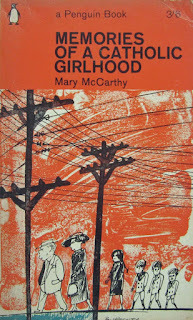 The sister's reaction several decades later: "I just couldn't believe that my sister...could have lent her name to anything like this. I--disbelieved her writing the letters...It was her writing! I saw them. That was the only thing that convinced me. Because I said--she never wrote those letters. I said so...I couldn't lift my head up. I couldn't believe it. It knocked me back to such an extent." Ha! Ha! proclaims Laura Thompson. Evidence of class pressure! At which point, I could no longer take The Tale of Two Murders seriously. Yes, class played a part in the whole matter. But I'm not a fan of reducing people's statements to knee-jerk class reactions. I think it is small-minded and patronizing, the opposite of insightful. I take Avis seriously. 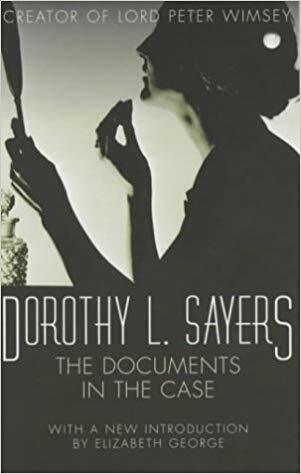 Every time I read her words, what strikes me is the sheer devastation of her reaction: "I--disbelieved her writing the letters...It knocked me back..."
Edith Thompson was not writing her letters filled with fake quarrels and poisoning for anyone but Bywaters. Unlike Dorothy Sayers--who objectively turned her personal, private scandal into a book (Strong Poison)--Edith Thompson was not writing for posterity, as Laura Thompson rightly argues. Edith was barely writing for Bywaters. She was writing entirely for herself, sending off her letters (emails) into a void. Nearly eighty years later, she'd have started a Facebook account. Or tweeted. Or something. That doesn't make the shock of what she wrote any less real and painful to a family member. Edith didn't invent entirely new stories to gratify herself. She used the people around her--a real lover, real parents, real husband, real sister--as fodder to feed her needs. She put words into Avis's mouth. She made her own sister a player in Edith's personal, private, dramatic theater. There is a slipperiness here, a lack of basic honesty that would confuse any relation. The bright, flirtatious, fun-loving sister becomes a cipher, a person without definite edges. Do I even know her? Consider family members who bring accusations of abuse that all other family members deny. Consider Yul Brynner whose outrageous deceits about his past went unprotested in the Hollywood of his day yet created for his son a sense of unreality. Who exactly was my dad? 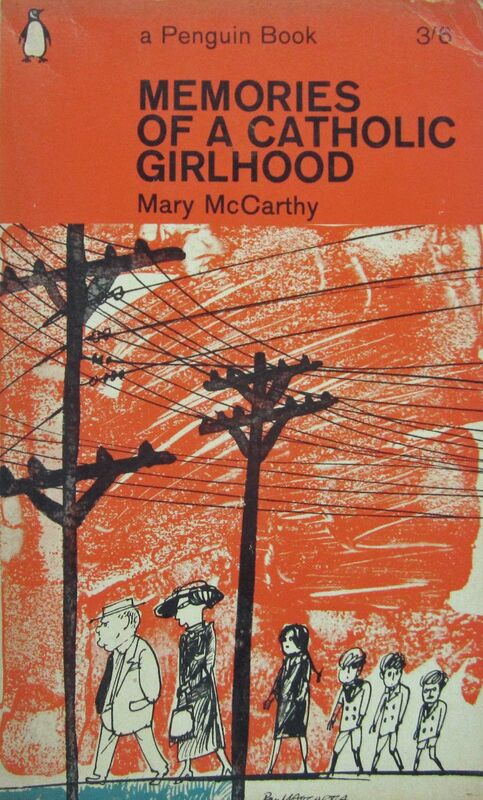 Consider Mary McCarthy relating quite matter-of-factly in Memories of a Catholic Childhood the failure of several siblings to remember events that took place years earlier even though they were all present at the time. McCarthy reflects on the problem of memory, why agreement would matter--or not. Edith Thompson's "creativity" didn't evoke pleasure. It evoked confusion, even atavistic distaste. This type of reaction is basic, human, real. Avis's reaction is heartfelt, comprehensible. "I--disbelieved her writing the letters." Yet Laura Thompson missed it. Perhaps she would argue (as so many people in my student college courses did) that oh, sure, yes, the human element is important but it's the social-political reality that makes the difference. I contend that it is the other way around. I think people reacted to Edith Thompson as a self-indulgent egotistical liar at an utterly base, human level, then went looking for social and political excuses to condemn her. Condemning people based on dislike is hardly legal--or ethical. But a failure to acknowledge how and why Edith Thompson's behavior and letters disturbed her family and others at a human level doesn't help. And a failure to hold her to some (any) account (Didn't she care at all what Bywaters might believe?) doesn't help women at all. We're responsible human beings, not mere class/gendered products to be patronized or defended. Maybe Laura Thompson gets there eventually, but it's a long book to not get there quicker. I know nothing about this case except what you have written. However, it brings up an interested problem with sociopaths. Was Edith's hanging really a mistake? Edith may not have ever entertained the notion that Bywaters would kill Percy, but does lack of cognizance mean she wasn't doing exactly that? Bywaters claims that Edith didn't influence him, but that seems extremely unlikely to me. It would make him inhuman and a sociopath himself. Alternatively, he thought he was being chivalrous and/or he didn't want to admit being a patsy. By the way, what the sister describes is classic cognitive dissonance--trying to reconcile the idealized image with the monster. However, I believe Avis is being a little melodramatic. Again, it is obvious--at least from what you wrote--that Edith was a sociopath. Sociopaths are very, very good at hiding it except from those close to them if there is sufficient time to observe. I suspect that Avis knew what her sister was like, in general, but was shocked at just how evil she really was. From personal experience, it's not being surprised someone did something bad, but being shocked by how much they departed from humanity in doing it. The most generous appraisal of Edith Thompson I've run across (excluding Laura Thompson's version) is that she was all kinds of stupid. While she was incarcerated, an intellectual feminist and a female social worker went to see her (separately). Laura Thompson is incredibly dismissive of these women, claiming that their class prejudices meant they weren't capable of accepting a lower-class woman as a sexual or creative being (Edith Thompson was solidly lower middle-class--higher than a maid; lower than an impoverished governess). What strikes me is how these quite disparate women had more or less the same reaction: Edith Thompson struck them as being as shallow as leftover dishwater in a pan. She wrote letters in which she described putting ground-up glass into her husband's food (never happened), then turned around and brought up practical money matters. Sayers does a terrific job of capturing this in Documents in the Case. The novel's "femme fatale" will write screeds of "oh, darling, I'm dying in my marriage," then turn around and question whether or not she and the lover will be able to survive on his income. Edith Thompson claimed she never meant Bywaters to kill Percy. And she was present when it happened and cried out immediately against it (Bywaters claimed that the murder was unplanned). And she contacted the police. And told them all about Bywaters. And then they found her letters. So--not Nicole Kidman. But it is still difficult, as you point out, to not be shocked by the utter gap between Edith's version of reality and the reality that everyone else, even Freddy the murderer, understood reality to be. The woman seemed to have no sense of real consequences to her actual behavior, which I suppose fits the definition of a sociopath. Just watched a mini-documentary on Netflix about this case. I didn't even realize it at first. Bottom line for me: Edith was guilty as hell. It doesn't matter whether she consciously manipulated Freddy into murdering Percy, she was manipulating him and her actions could have led to no other resolution.